Happy New Year and welcome to 2016! I hope you will make this a healthy year – continuing the positive choices you already make and adding in new healthy habits. Have you tried one of these less common citrus fruits before? If not, maybe trying one new type of citrus is a healthy habit to make. Each fruit has its own unique flavor, but is often sweet and a little bit sour or acidic. The diverse colors of citrus add to its appeal: from pale white varieties of grapefruit to bright orange tangelos to rosy cara cara oranges to deep ruby blood oranges. Many varieties of similar citrus will have different colors, like red, pink, and white grapefruits. Size and shape also make citrus unique. 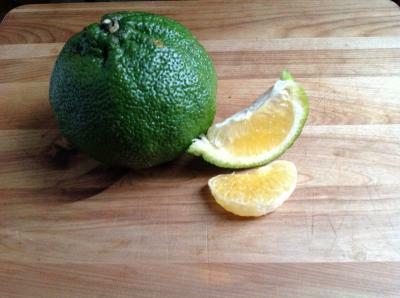 Pummelos are one of the largest citrus fruits with a thick rind, while mandarins tend to be quite small. Tangelos have an almost oblong shape with their slight neck at one end. Most citrus are easily portable inside their peels, you only need your hands to peel them open, and they do not need to be cooked to eat. With so many different citrus, their nutrition will vary slightly. But fresh citrus are low in calories and are a source of fiber, vitamin C, folate, and potassium. Some citrus is available year-round in stores, but you will find the best quality and price during winter months. Buy: Choose citrus fruits that are firm, without obvious soft spots, mold, or discoloration. Soft fruits may be older and less juicy. Very firm fruits may be dry or under-ripe. Price: According to the U.S. Department of Agriculture, fresh oranges are priced $1.04 per pound on average, $0.90 per pound for fresh grapefruit, and $1.38 per pound for fresh tangerines. Since fruit sizes vary, you may get more or less fruit per pound. 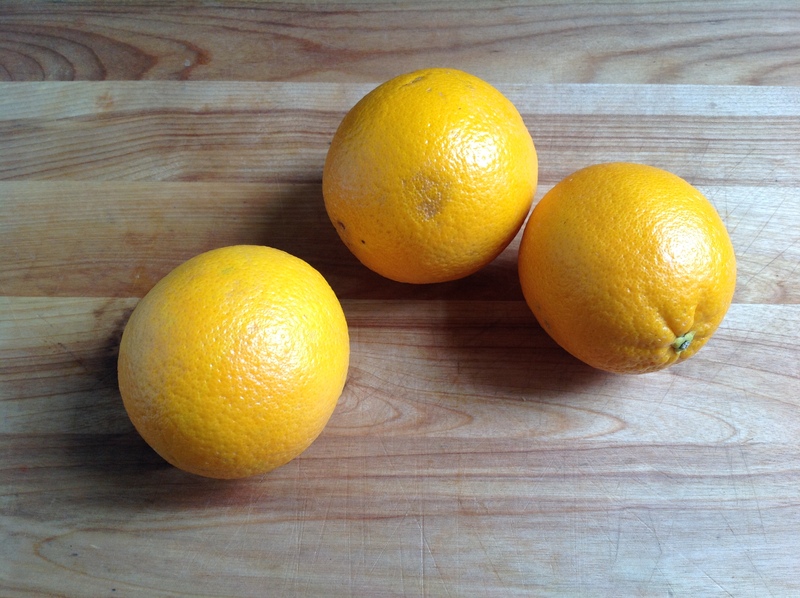 Store: Unpeeled citrus can be stored at room temperature and may last a week or more. Check fruit daily for softness and eat as soon as possible. If mold grows, toss out the fruit. Prepare: Simply wash and peel citrus. A knife may be needed to peel thick-skinned citrus, like pummelos. To zest citrus, wash fruit and remove only the colored skin with a fine grater and stop before the pith. The white pith underneath most peels is bitter tasting. Eat: Citrus is edible raw as part of a meal or snack, and works well in cold salads. When cooked as part of a sweet dessert or a savory meal, the juice or zest is most often used over the fruit sections, but some recipes may include them. Reference: University of California, Agriculture and Natural Resources, Publication 8472, Tried and True or Something New? Make good use of available citrus this month to snack on or to incorporate into your everyday recipes. Warm up with fish studded with fragrant orange peel. Serve with a green vegetable and a mix of roasted starchy vegetables. Try the "Roasted Root Vegetables" recipe in WEB HIGHLIGHT 1. 2. In a small bowl, combine water, orange peel, rosemary, thyme and garlic. Cover bowl with plastic wrap and microwave on high for 1 minute. Carefully remove plastic wrap. Stir in parsley. 3. Arrange fillets in a greased 9-in square baking dish. The thickest portions of fillets should be towards outside edges of the baking dish. 4. Spread orange peel mixture evenly over fish fillets. 5. Bake uncovered 15 minutes or until fish flakes easily with a fork. WEB HIGHLIGHT 1: Watch this video for instructions on the "Roasted Root Vegetables" recipe from What's Cookin' with Mary Liz. Mary Liz is a fellow Extension Educator. Today's post was written by Caitlin Huth and reposted with updates and minor edits from the Healthy Eats and Repeat blog in February 2014. Caitlin Huth, MS, RD, is a registered dietitian and Nutrition & Wellness Educator serving DeWitt, Macon, and Piatt Counties. She teaches nutrition- and food-based lessons around heart health, food safety, diabetes, and others. In all classes, she encourages trying new foods, gaining confidence in healthy eating, and getting back into our kitchens.